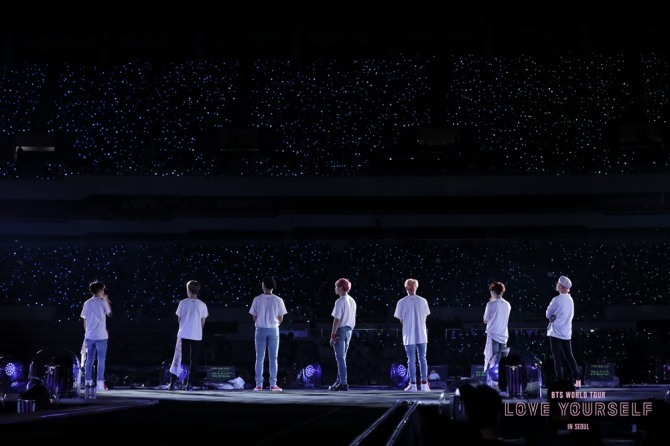 In December, BTS fans learned that the Seoul leg of the group’s latest “BTS World Tour: Love Yourself” would be brought back to life on the big screen. And then came Saturday, when the film hit screens across South Korea, sending the group’s “Army” fan group into a frenzy and morphing cinemas into something akin to crowded music venues. The film of the band’s two days of concerts in the Korean capital in August had showed clear signs of commercial success even before its release: It sold over 170,000 advance tickets as of Friday morning, according to the Korean Film Council. It opened at 3,800 cinemas in 96 countries, including the US, UK and France. 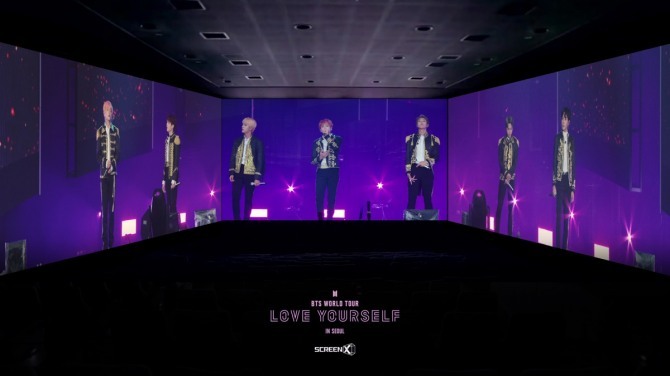 The second BTS film, following “Burning the Stage: The Movie,” comes in various formats, including CGV’s ScreenX and its singalong version, both of which provide a 270-degree viewing experience. One afternoon singalong screening in central Seoul on opening day was a testament to both how far the group has come on the music scene and how tightly connected the group is with the fandom. The group’s Army is known for passionate support for the group, which was evident just seconds into the film as the audience -- many of whom were young women -- erupted at the mere sight of the logo for Big Hit Entertainment, the group’s agency. A short clip ensued of the seven bandmates strutting and posing with a pop star attitude, as their footsteps could be heard loud and clearly, a fitting introduction for the international pop stars. Cinemagoers went wild every time their favorite performer was on the screen during the segment. The film then launched into a powerful rendition of the group’s latest single, “Idol,” followed by a jam-packed set list heavily consisting of dance music and rap spanning the group’s career over the last six years. Though it might sound strange, the film manages to let fans interact with the group retrospectively, as footage shot from 42 cameras draws in the audience with the aid of side screens showing the performance from different angles. Throughout the film, many in the audience were busy taking in the full experience and getting their money’s worth, cheering with light sticks as they swiveled their heads for a wider view. Having crammed three hours of performances and talks into a two-hour film, it certainly offers fans all the essentials from the beginning of a remarkable world tour by one of the biggest acts in K-pop history. And yet, the question remains to be answered whether the film packs enough punch to satisfy general moviegoers with little knowledge of BTS. As the group has always been more successful on album charts, its lack of mainstream hit singles that resonate with the general public is highlighted in the film. The group’s highest charting US single to date is “Fake Love,” which peaked at No. 10, while it has had two No. 1 albums. The set list of 27 songs heavily relies on electronic dance music and rap, with just a couple of slow tunes mixed in, including “Epiphany,” which only makes it harder for non-BTS fans to get in the spirit, especially if they are not fans of upbeat music. While the group appears to have secured yet another achievement, general moviegoers outside the fandom might struggle to get on the same level as fans. 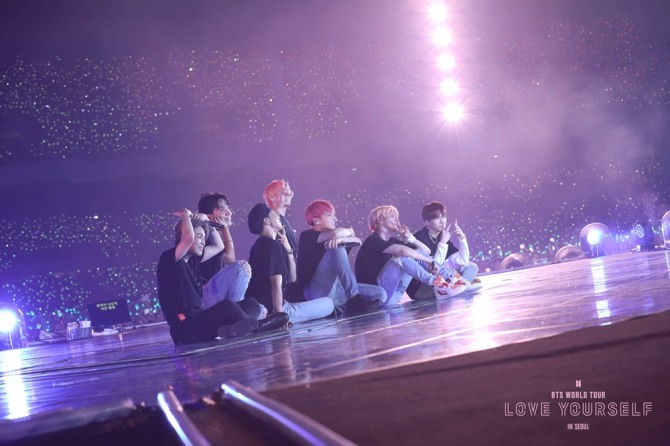 But if you are well prepared and ready to take on the whole concert film experience, it might be worth taking a shot to get a glimpse into the ever-so-expanding and high-energy BTS fandom.